Kurt Maitland, Deputy Editor of The Whiskey Reviewer, visited with us several months ago for an in-depth tasting and discussion of our spirits. Today, Kurt published the results of his sensory evaluation in his review of Riz, which earned an “A” and five stars! As Kurt put it, “I don’t know if it’s because this is my first taste of a Rice based American Whiskey, if it’s something in the rice and water from Louisiana but this is easily one of the best tasting white whiskies I’ve ever had.” As Kurt noted in the review, it’s not just the rice and the water, but we also cite our use of malt whiskey yeast and our old-school pot distillation process as key to creating the distinctive and pleasant flavors found in Riz. 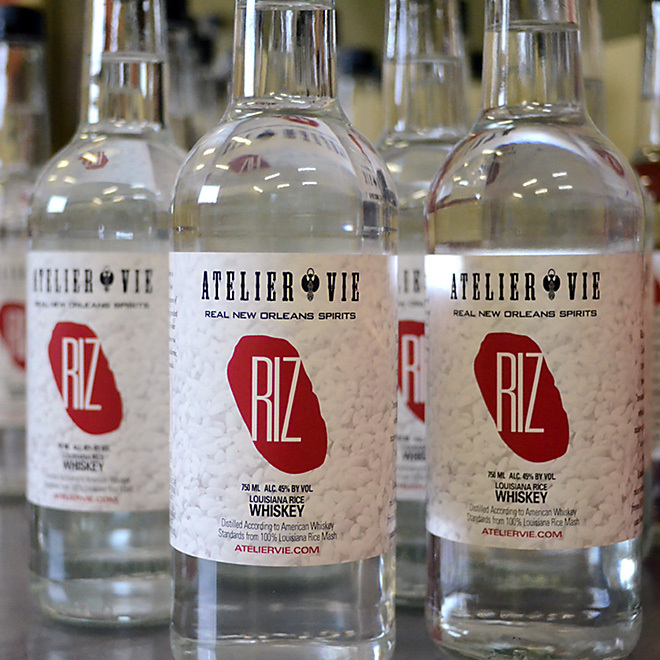 This entry was posted in Atelier Vie, Press Hits, Riz and tagged review, rice whiskey, riz, whiskey. Bookmark the permalink.